Thank you for visiting the new webiste for Whispering Pines Assisted Living! On this site you will find useful information regarding our services, facility, and other tools to help aide you in your search in the perfect home for your loved one. It is our job to make this transition as easy as possible. If you have any questions, please do not hesitate to contact us directly at 410-639-7771. Thank you! 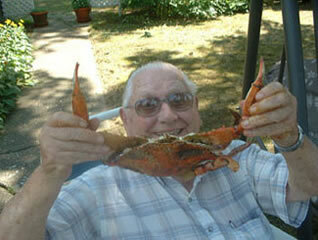 Whispering Pines Assisted Living is proudly located in the quaint fishing town of Rock Hall, Maryland. Located with in walking distance to the Chesapeake Bay, we offer a unique experience to keep you and your loved ones active in the community we love.